Wow, 13 challenges so far, and I get to be the lucky hostess this week. I have picked Baja Breeze, So Saffron and More Mustard for our 13th challenge. 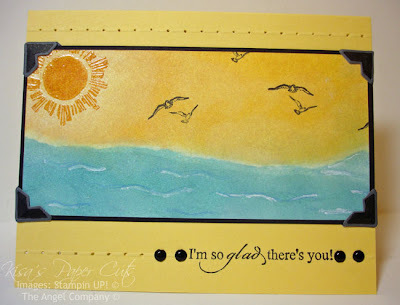 I think I could use Baja Breeze on just about every card I make. I hope you will take some time to create something with these colors and post it in the comment screen, linking it to your blog. Or if you want to post on SCS, be sure to use the key word CTD13. If you don't have these exact colors, don't worry, just use something close! 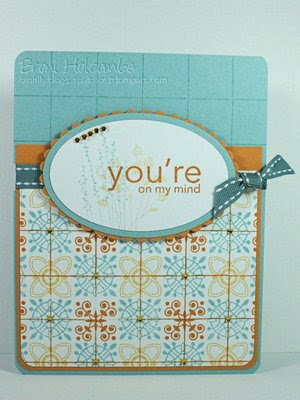 Gorgeous inspiration cards! Love this color combination. I don't have any Baja Blue yet so I had to substitute Soft sky ... hope that's okay!! 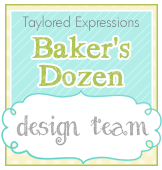 I need to catch the train and order some Baja cardstock! It's beautiful! You all create such wonderful and unique cards and they're all so inspirational too! YEAH!!! I had time to play!! I've so missed this challenge but I'm definately working on playing catch up. last weeks colors are calling me today. can't get enough kraft!!! I finally got one done, lol! Thanks for having this great inspirational site! So sorry everyone, I didn't leave a link to my card --- I don't know how that happened. Late again, but here it is! 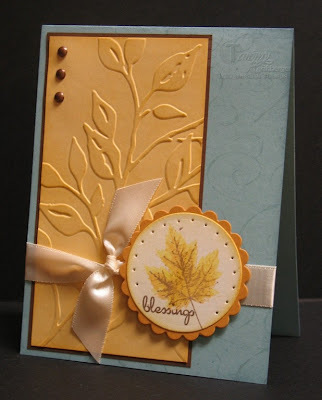 I love these colors together and you ladies have gorgeous cards as usual! Great colors! I thought it would be hard, but my card went together well. And I can't forget to show ya'll where it is, lol. Thanks for the fun, ladies!! !